Seoul is no short on unique cafes, with the different districts from Myeongdong to Itaewon teeming with all kinds of cafes and bistros. 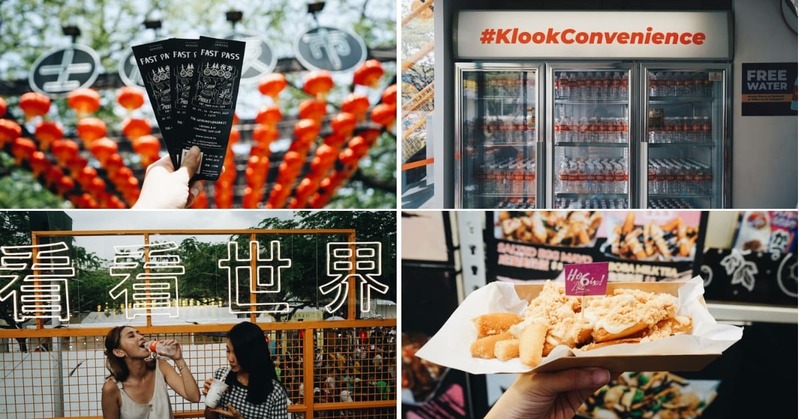 Get a Klook T-Money Card for seamless public transport travel, and start checking off your food hitlist. 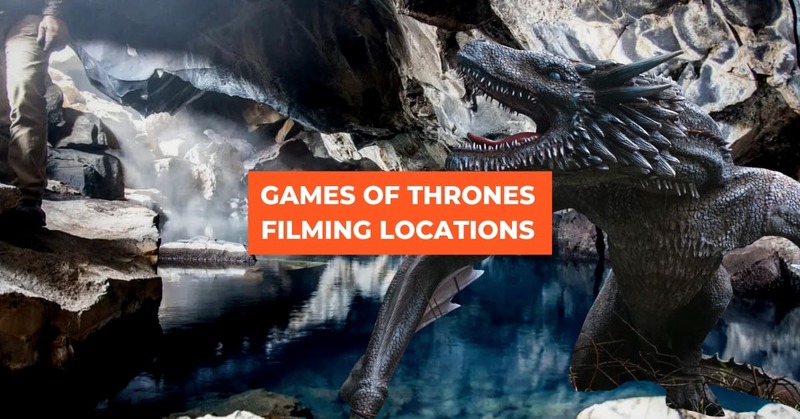 There’s nothing like running around a theme park for burning off all that food – head to Lotte World or Everland for your adrenaline fix. 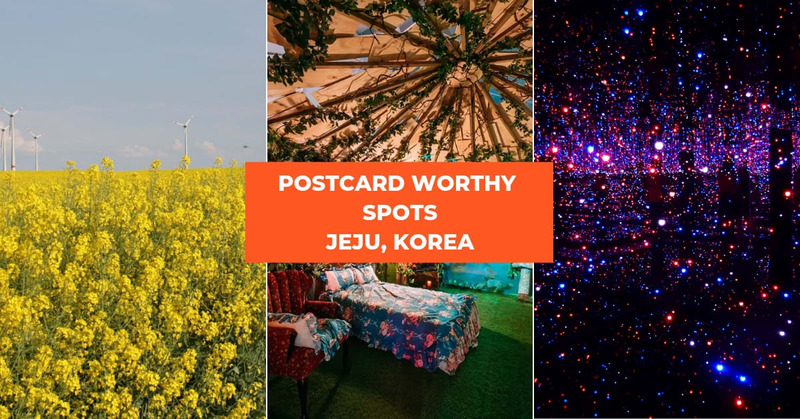 If you’re looking to do things beyond the touristy activities, try your hand at our Klook Korea Challenge for some Korea memories you won’t forget! 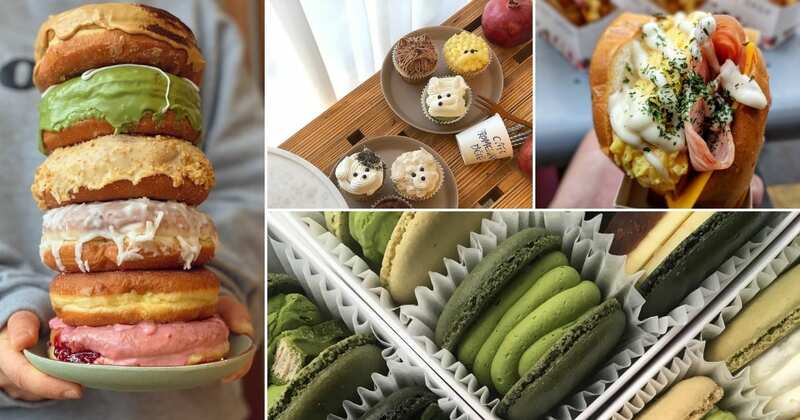 These 11 Seoul cafes aren’t all style and no substance, featuring everything from super-stuffed sandwiches to innovative desserts that taste just as good as they look. 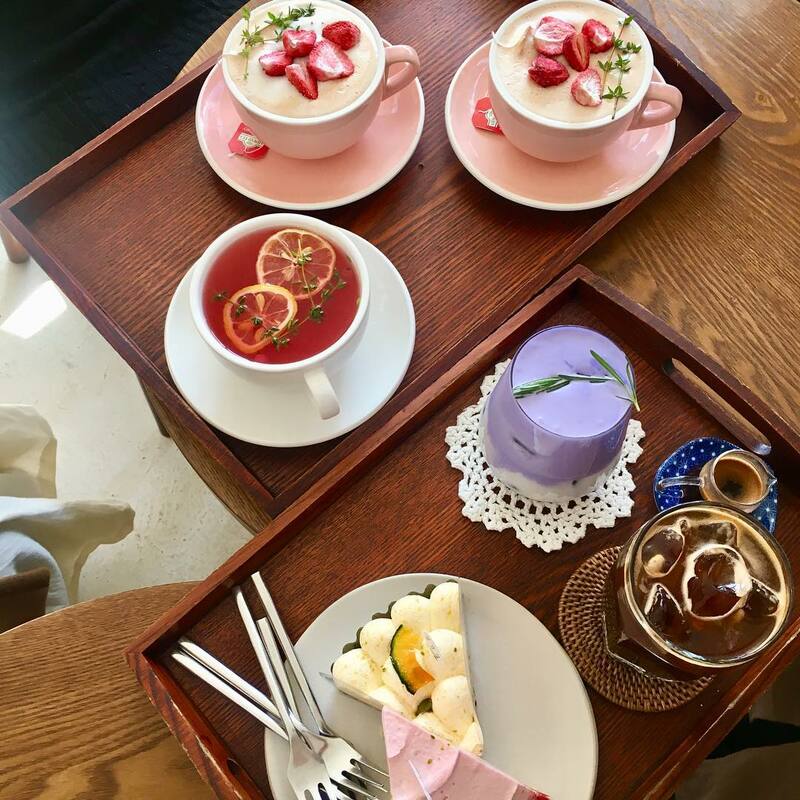 You won’t be short on gorgeous close-up shots and table flatlays on your Seoul cafe adventure! If you though latte art was impressive, C. Through Cafe takes the skill several levels up. 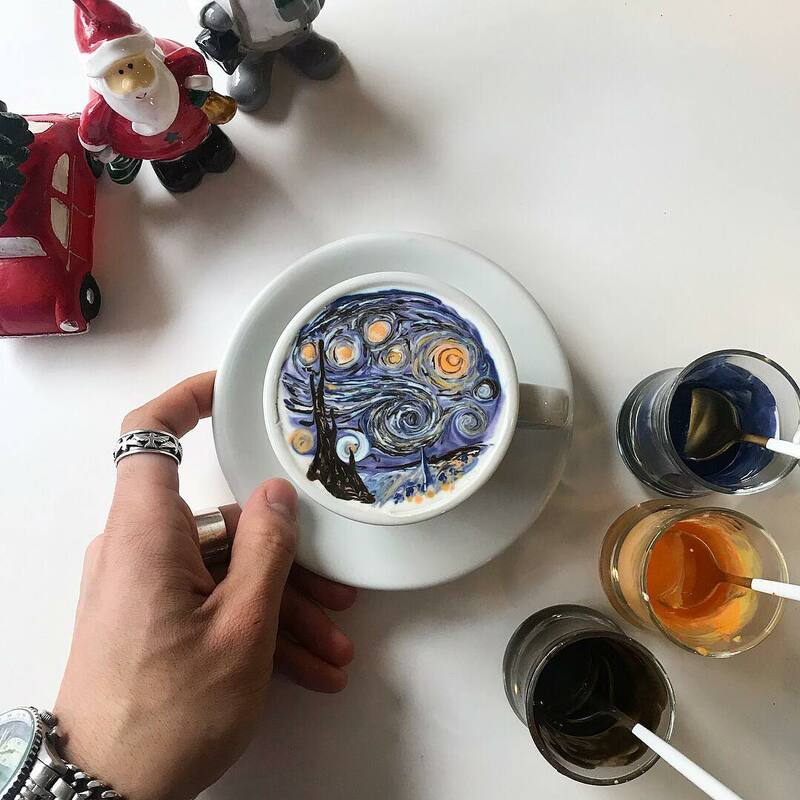 The owner-barista Lee Kang Bin has a huge social media following, thanks to his incredible skills and creativity displayed in his Cream Art drinks. With a canvas of Dutch coffee layered with velvety sweet cream, Lee draws all his designs by hand. 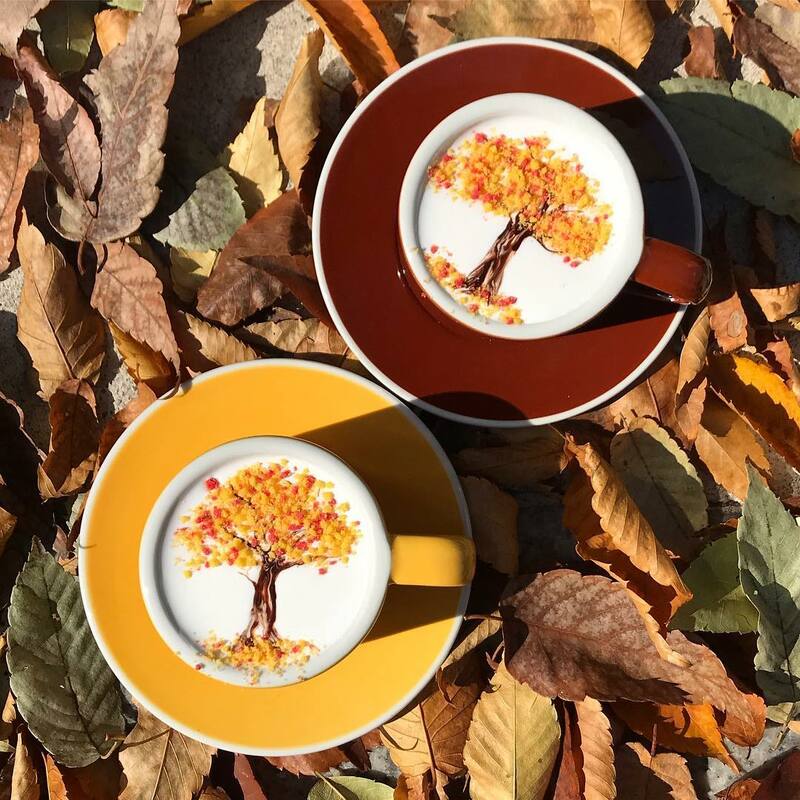 Ranging from life-like blossom trees to incredibly intricate renditions of Van Gough’s Starry Night, these coffee masterpieces are almost too pretty to drink. 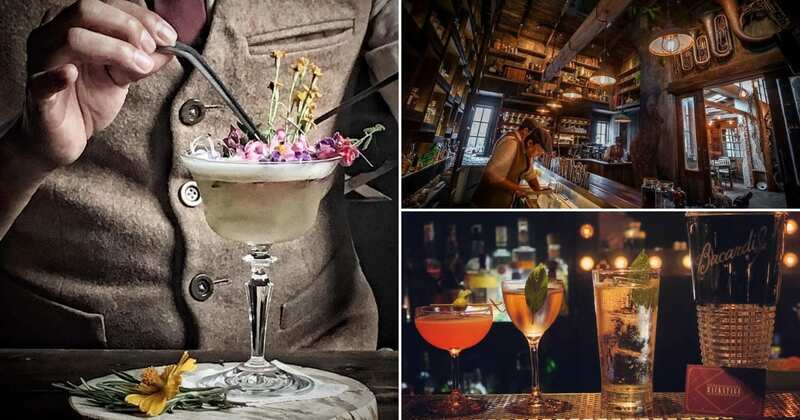 You can also request for a custom-made drink with a special message – but you’ll have to secure a reservation on Instagram first, as this is only done once a day. Through Cafe also offers a range of unconventional crafted drinks, with the Scotchino being a bestseller. Served in an overflowing ceramic cup, this coffee-based drink is infused with butterscotch candy. It’s topped with both cocoa and coffee powder, resulting in a fragrant drink that’s lightly sweet with a touch of bitterness. 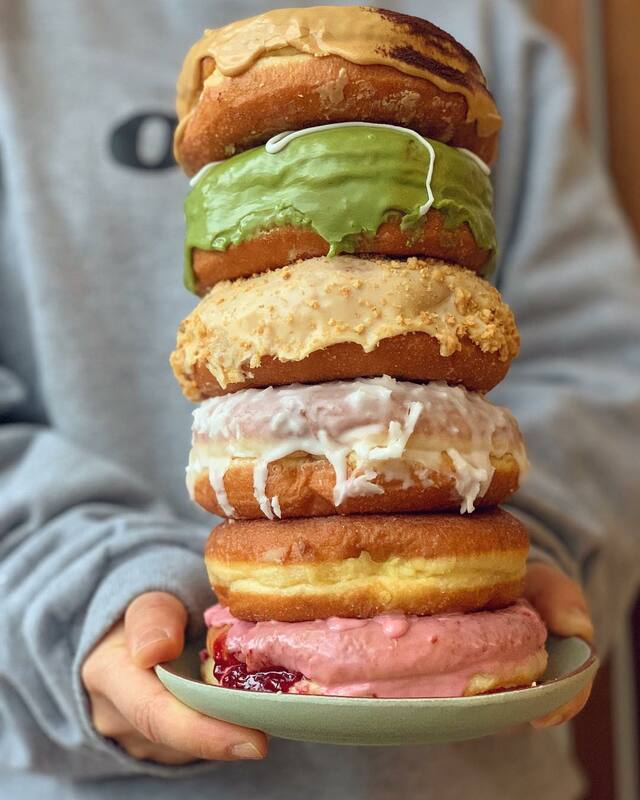 If you’re a self-proclaimed donut connoisseur, put Old Ferry Donut at the top of your cafe wishlist. About five minutes from Hangangjin Station, this nautical wood-accented cafe specialises in all kinds of donut creations, from classic frosted to upsized and superfilled. In terms of texture, Old Ferry’s donuts are light and extra-fluffy, rather than dense or doughy. One of the must-tries is the Raspberry Donut. 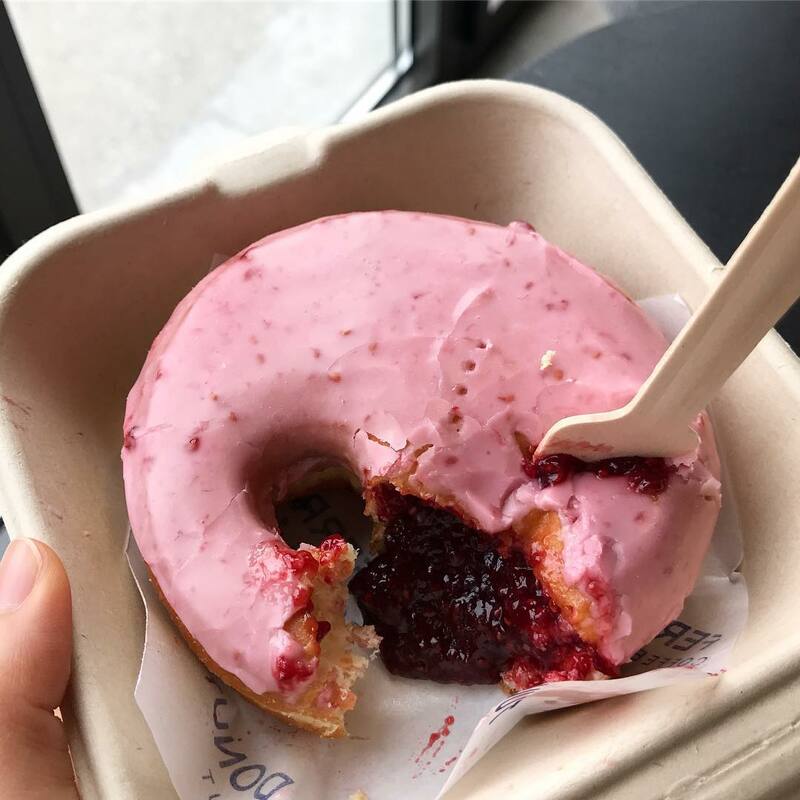 This filled donut is topped with a glossy layer of raspberry frosting, and is stuffed with an insane amount of raspberry jam. The pieces of macerated raspberries add a great pop of tartness and texture. Other bestsellers include Matcha, Coconut and Tiramisu. 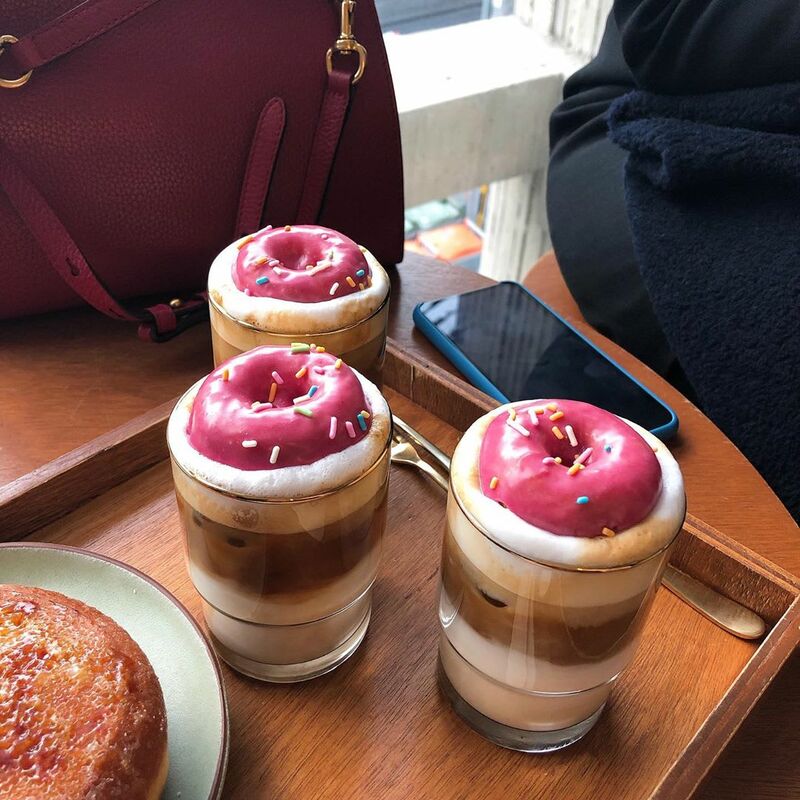 Their signature Tube Latte features a miniature pink-frosted donut floating atop a pillow of milk foam. If you’re wondering why the mini donut looks so familiar, its name – Strawberry Homer Simpson – might give you a clue. Fish out the donut and eat it first, before it soaks up too much coffee. Hit up Egg Drop for the ultimate #yolkporn. 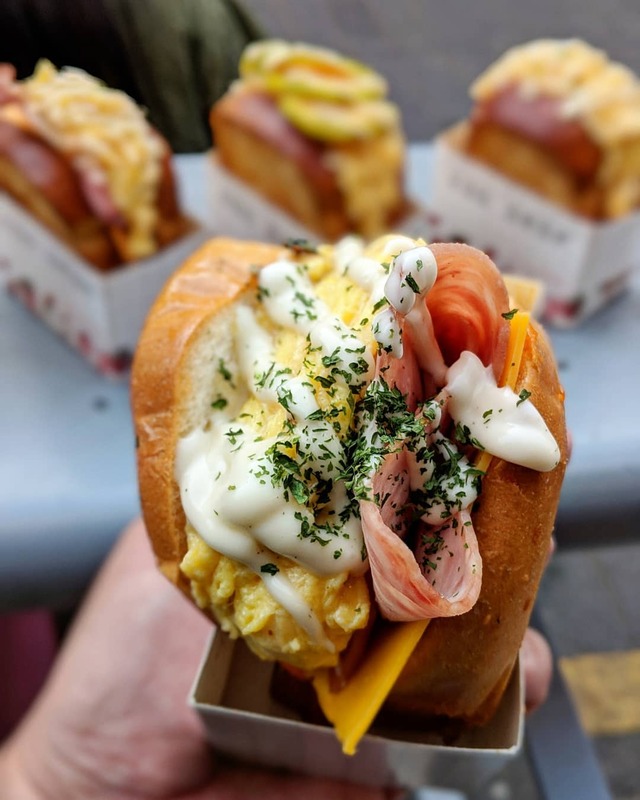 This shop serves jazzed-up renditions of Korean street toast, which is the local take on the quintessential breakfast egg sandwich. 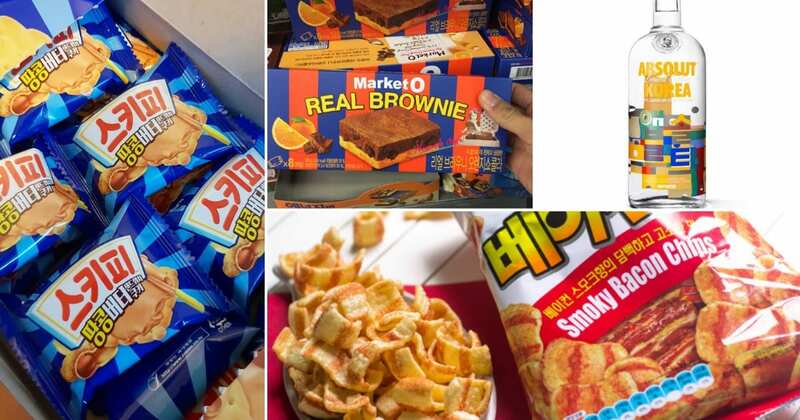 Egg Drops’s menu consists of different variations on Korean street toast. Made with fluffy slices of sweet brioche toast, most of the sandwiches come with a thick layer of silky scrambled eggs, accompanied with your choice of filling. The special egg and cream sauce is what makes the sandwich – savory and sweet, with a creaminess that balances out the saltiness of the meat. Some even claim that it’s better than the wildly popular Isaac Toast! 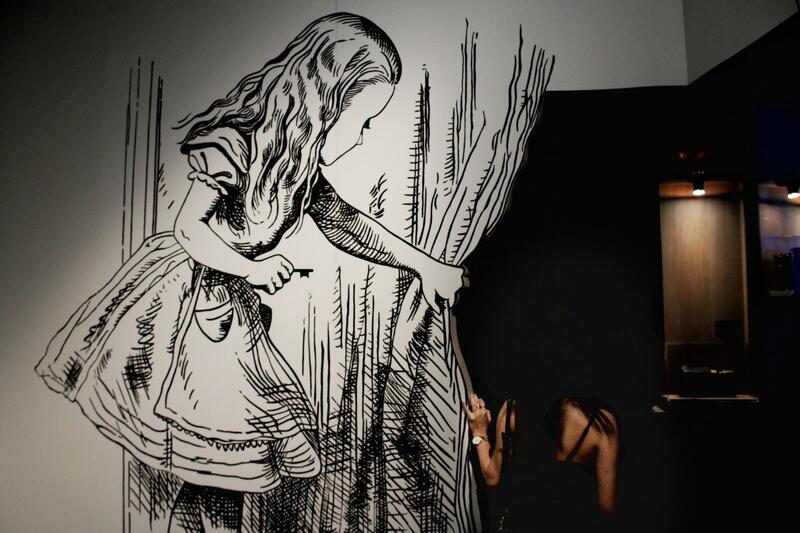 There’s no better place in Seoul to get in touch with your artsy side, than at Peach Grey. 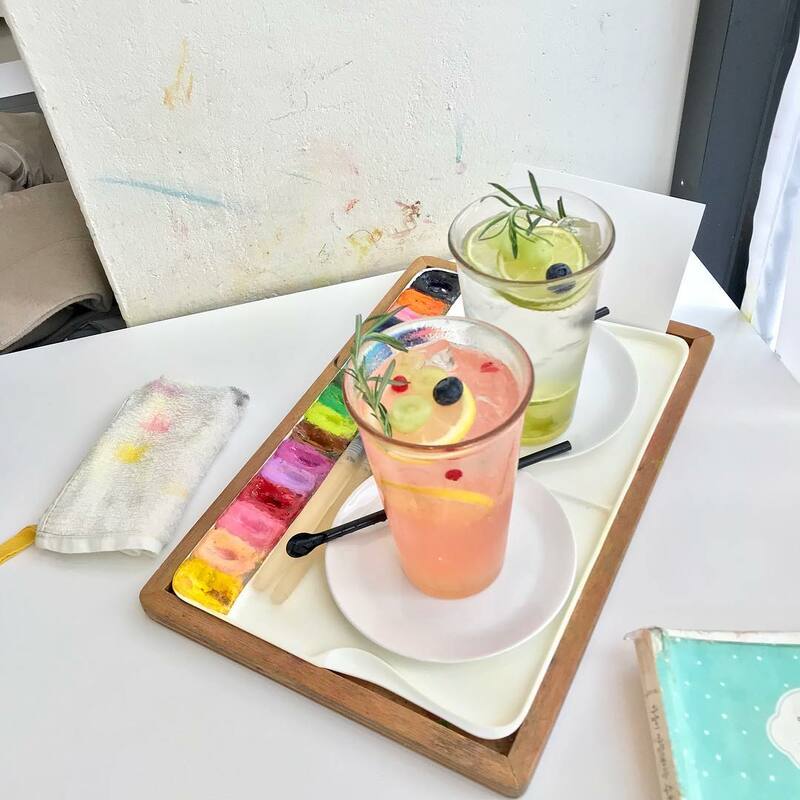 With every order of food or drinks, you’ll be provided with a palette of watercolour paints and water brushes, along with a small stack of paper. If you simply want to colour rather than create, they provide templates as well. The souffle-esque Pancakes, accompanied with fresh cream and a hearty serving of sliced fruit, take about 20 minutes to prepare – the perfect amount of time to get inspired and put watercolour pen to paper. Arari Ovene almost always sees a line out the door in the afternoons, with people queuing up to enjoy the cafe’s creative teatime offerings. An avid baker herself, the cafe’s owner documents all her baking studio creations on her website. Her forte is her gorgeous cakes, cupcakes and tarts, which are available for order in the cafe. 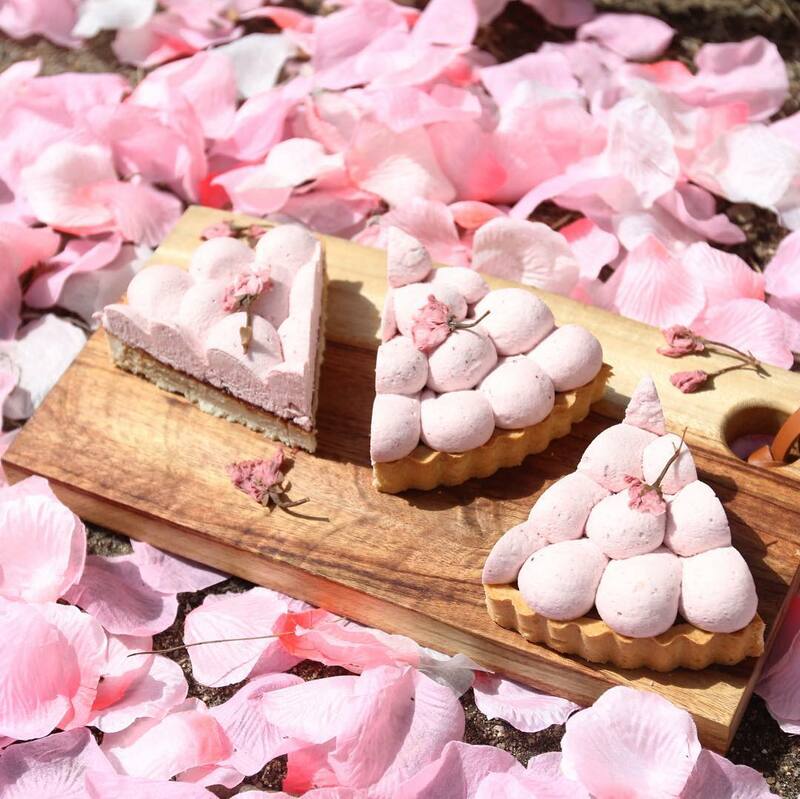 If you’re lucky, you can get your hands on some seasonal tart flavours like the spring-inspired Sakura Tart. 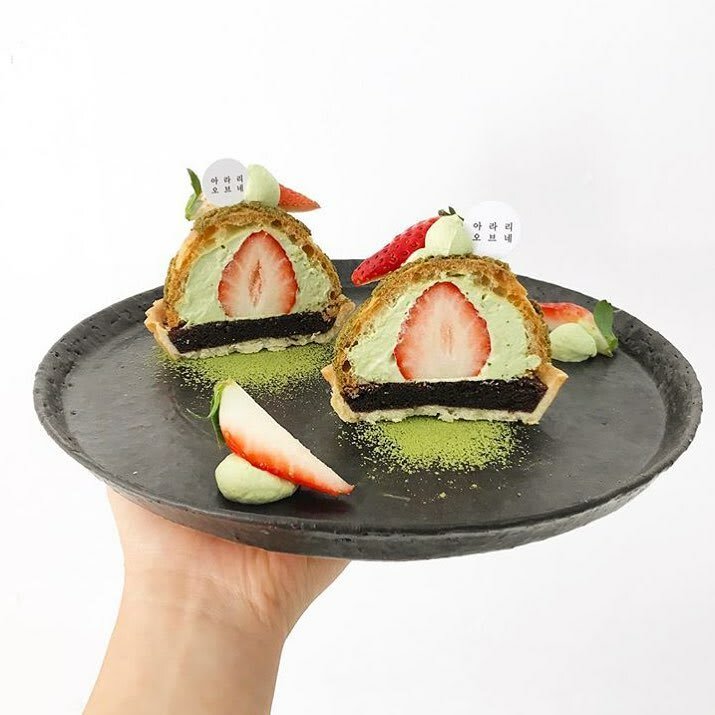 The Strawberry Green Tea Choux Tart remains an all-time favorite – a perfectly light choux pastry shell filled with green tea cream and a whole strawberry, balanced atop a chocolate ganache tart. Pair it with the signature Strawberry Milk Tea, served in a pink coffee cup and topped with cut strawberries. 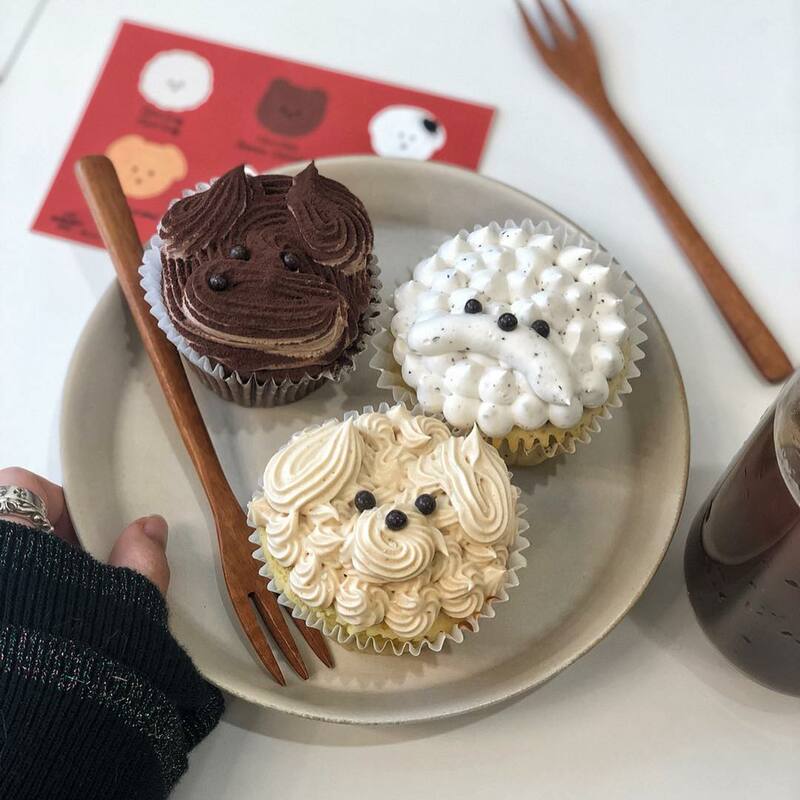 The bakery typically makes six flavors of cupcakes in six different breeds, all inspired by dogs that the owners have come across. 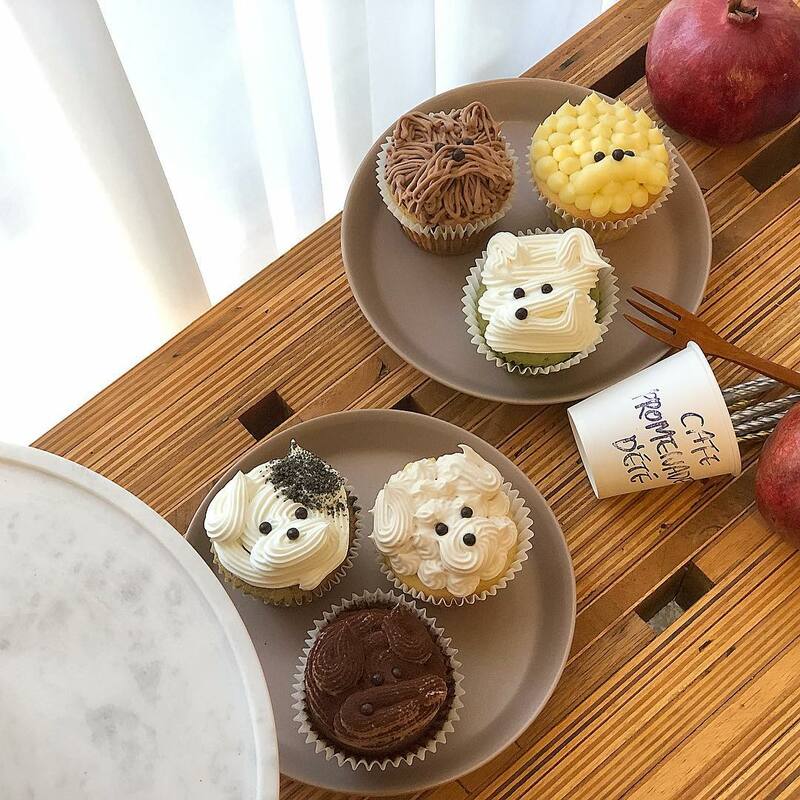 There’s an Earl Gray Bichon Frise, a Chocolate Banana Yorkie, and even a Salted Caramel Maltipoo. The cafe is pet-friendly too – you’ll often spot regulars bringing their furry friends down for a cupcake break! 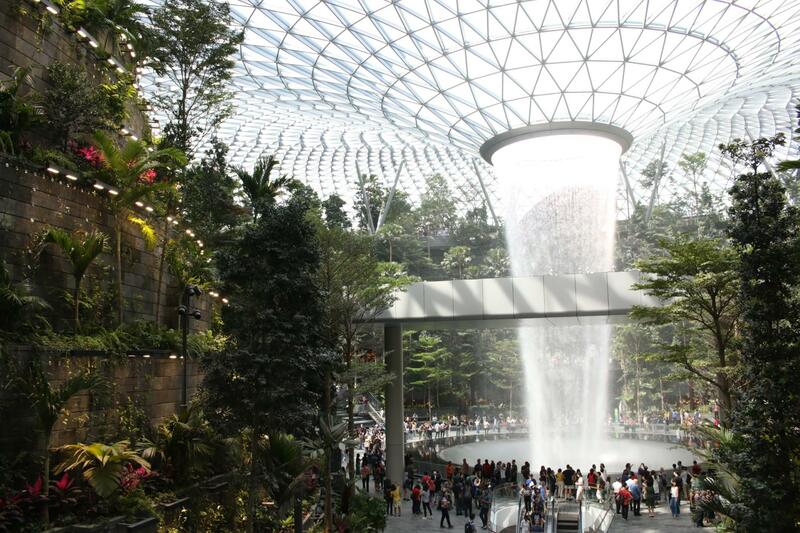 Opening Hours: Friday – Wednesday, 10am – 9pm. Closed Thursdays. For a dessert experience you won’t forget, make the trip to JL Dessert Bar. 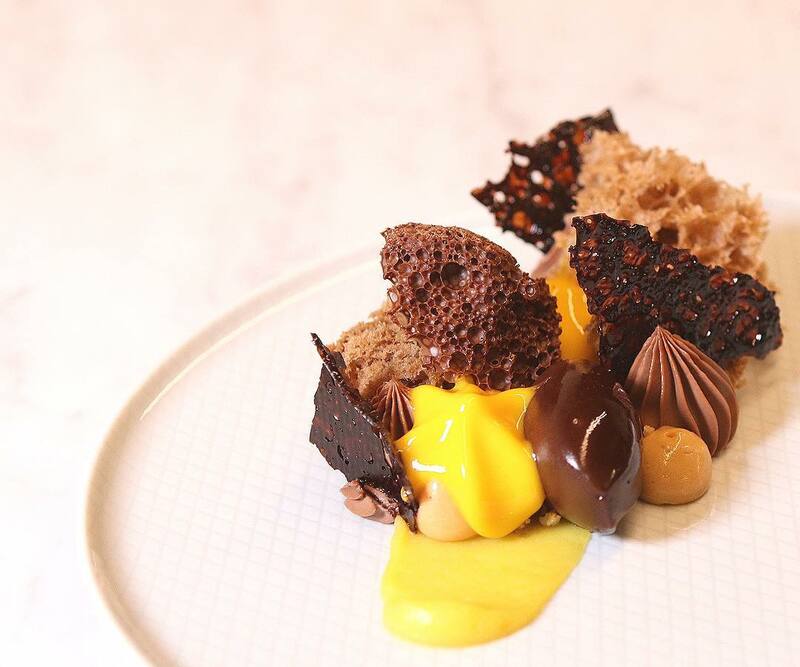 With over 15 years of culinary experience under his belt, Chef Justin Lee started the eponymous JL Dessert Bar, a concept that focuses on plated desserts and pastries that springboards off seasonal ingredients. 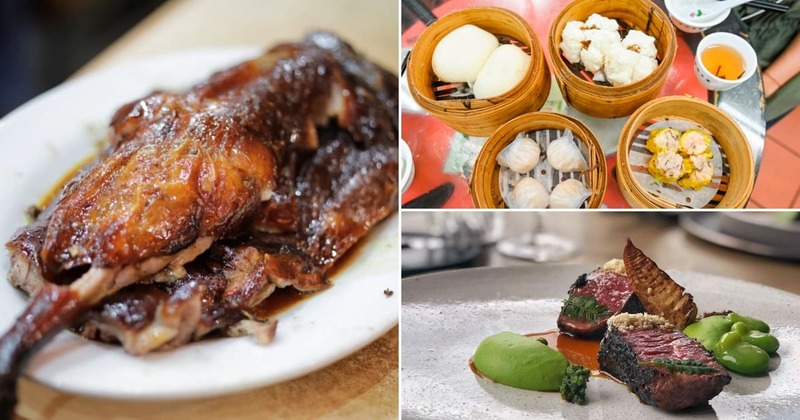 Pick the Dessert Tasting for a full experience, with five Asian-inspired dessert courses that’ll take you on a journey of flavors. 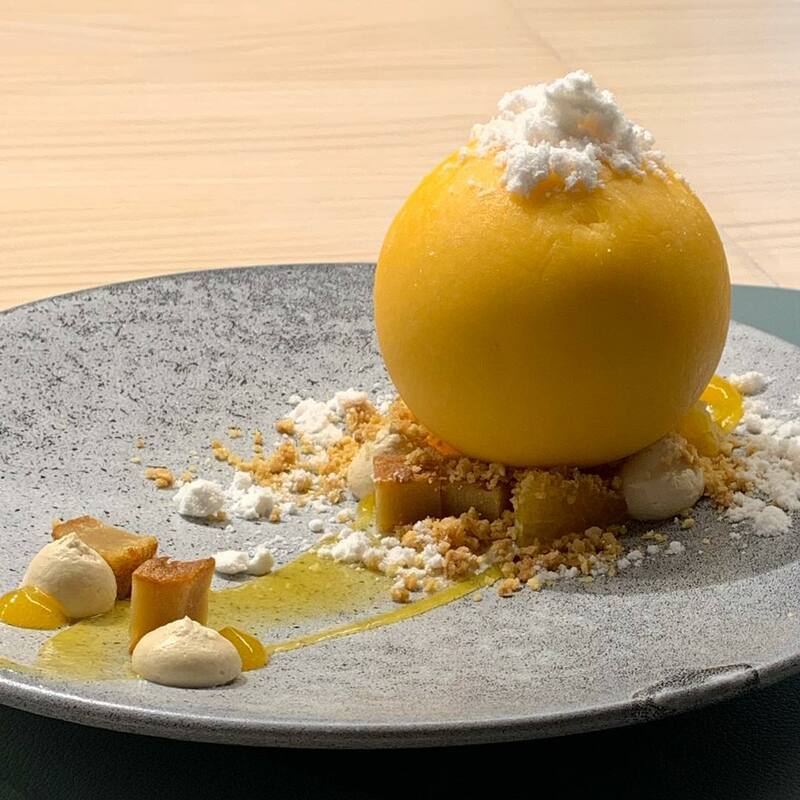 The spherical Hanrabong dessert is one showstopper – this deliciously sweet hybrid citrus fruit is paired with buttery 32% Dulcey blond chocolate, all tied together with ginger, cardamon, hazelnut and a dash of cognac. 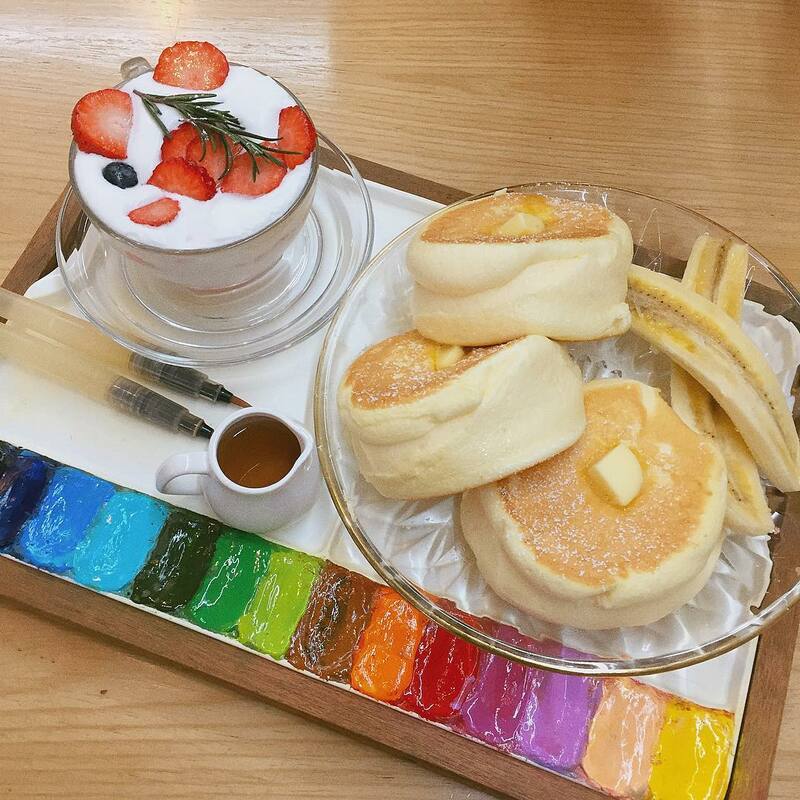 For the perfect marriage of macarons and tea, head to Cafe Un.Forget. Their Tea Series Macarons are very popular, with many flavours often snapped up long before the cafe closes. The series is split into six different macarons – No. 1 through No. 6 – with various levels of intensity and paired with different fillings. One of the favourites is the No. 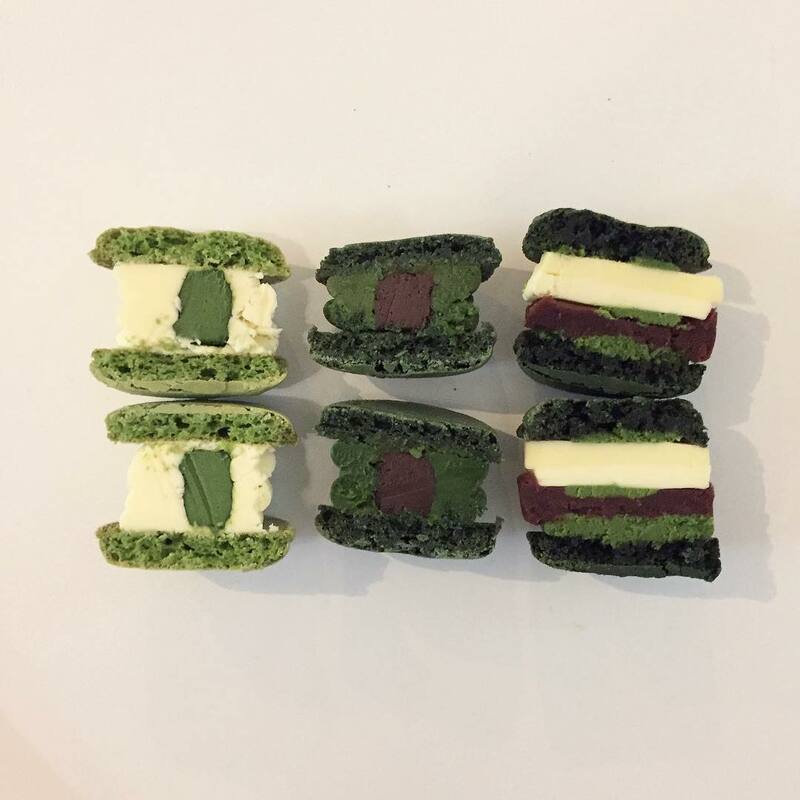 5, consisting of a matcha macaron base layered with intense green tea filling, adzuki bean paste, a wedge of unsalted butter and a sprinkling of salt. 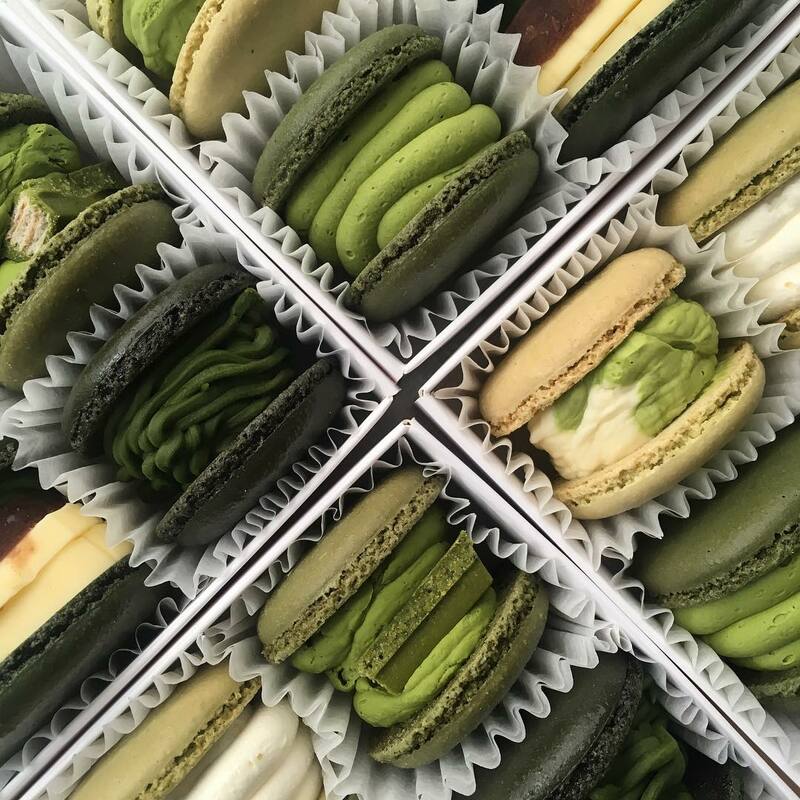 Head down early to avoid leaving empty-handed, or check in on their Instagram for updates on macaron stocks. 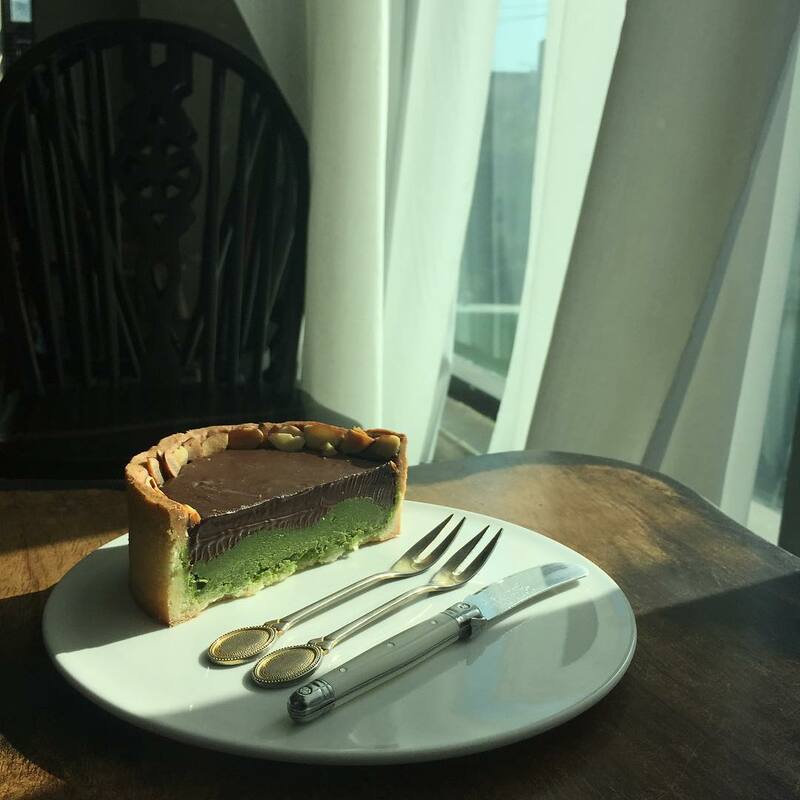 They also serve a range of tarts and cakes, like their Dark Chocolate Green Tea Tart, along with a small latte menu. Located on the 3rd floor of shops that line the streets of bustling Myeongdong, Cacao Green is every chocolate lover’s dream. 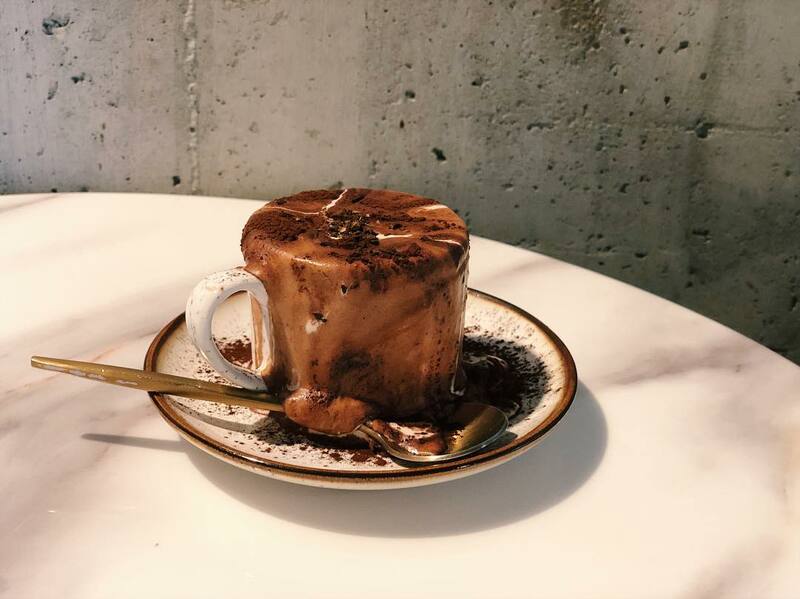 This cafe serves all things chocolate, with a chocolate-centric menu that includes artisanal chocolate drinks, truffles and desserts. The Triple Chocolate Bingsu is the dessert to order. 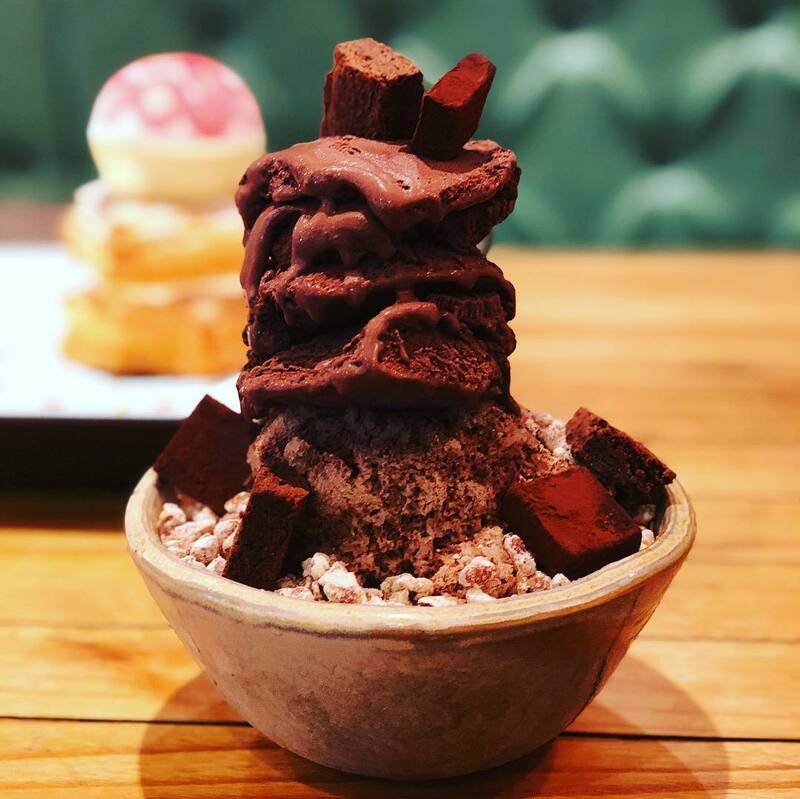 Made with a base of chocolate Korean shaved ice, this bingsu is topped with brownies, chocolate truffles, homemade chocolate gelato and candied walnuts. All you need for a chocolate overdose. For a break from all that chocolate, the Strawberry Gelato Pie is well-worth the wait. 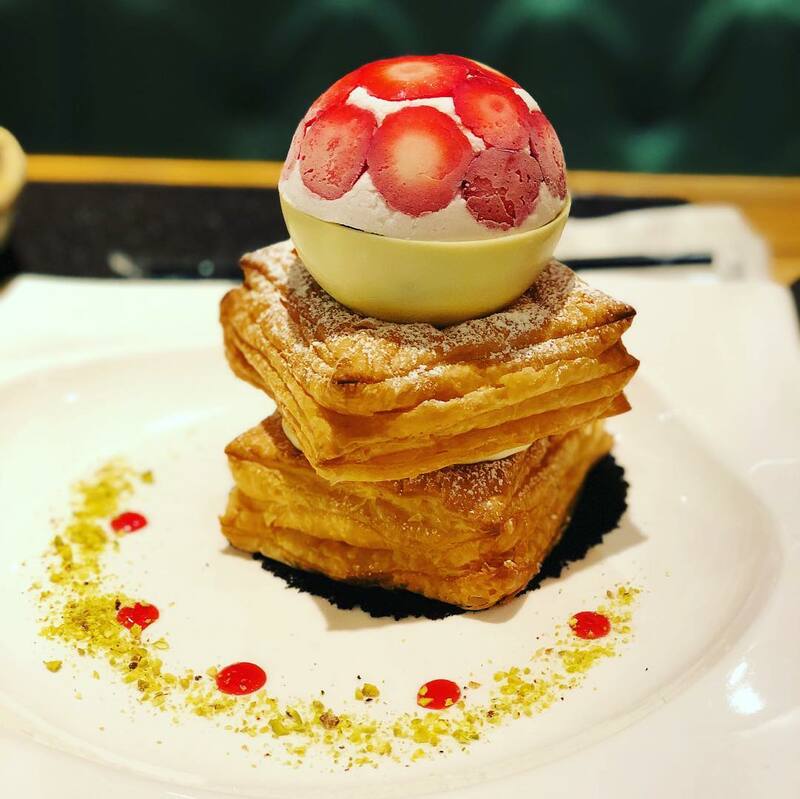 A white chocolate strawberry ice cream sphere is nested atop towering layers of puff pastry and sweet cream, accompanied with a pitcher of hot strawberry sauce for you to pour over. Check out Littleneck Cheongdam for a slice of New York in Seoul. This Gangnam cafe has a vibrant menu of produce-focused New American plates and comforting diner-style dishes. 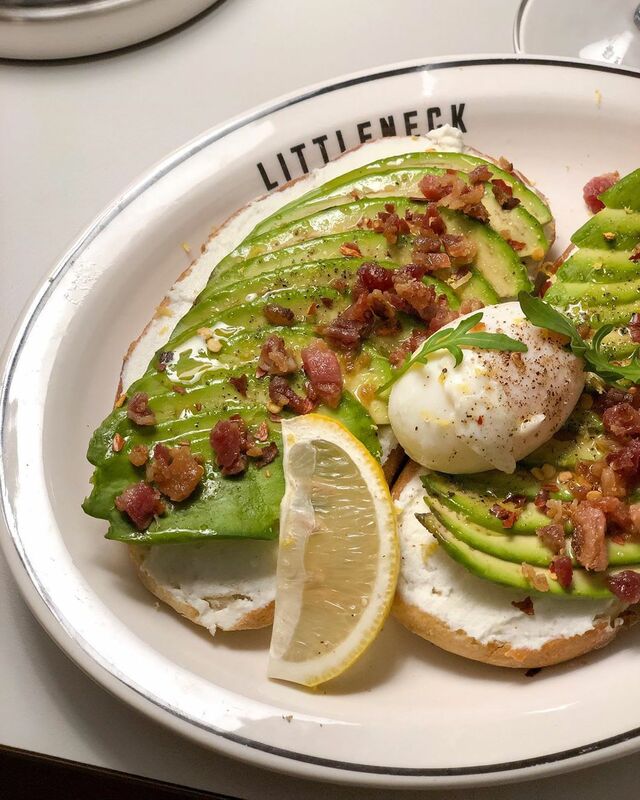 Start your day with their beautifully plated Avocado Toast, served with a blanket of lemon ricotta cheese and a generous layer of crisped bacon crumbs, topped with a poached egg. 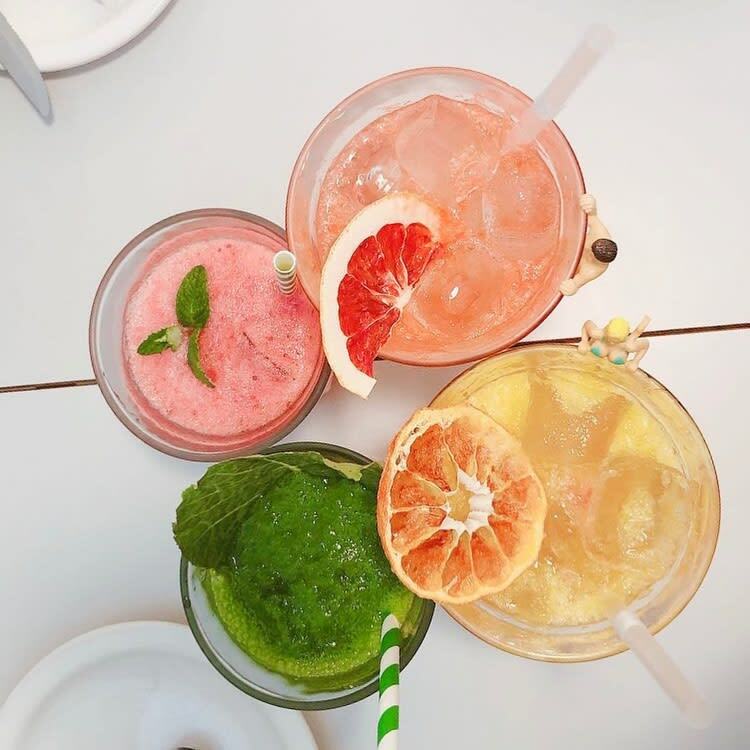 It’s not quite a weekend brunch without drinks – get a fresh juice or a fruity cocktail to nourish the body and soul. If you’re seeking a classic American diner experience in Seoul, Cafe Travel Maker makes the cut. 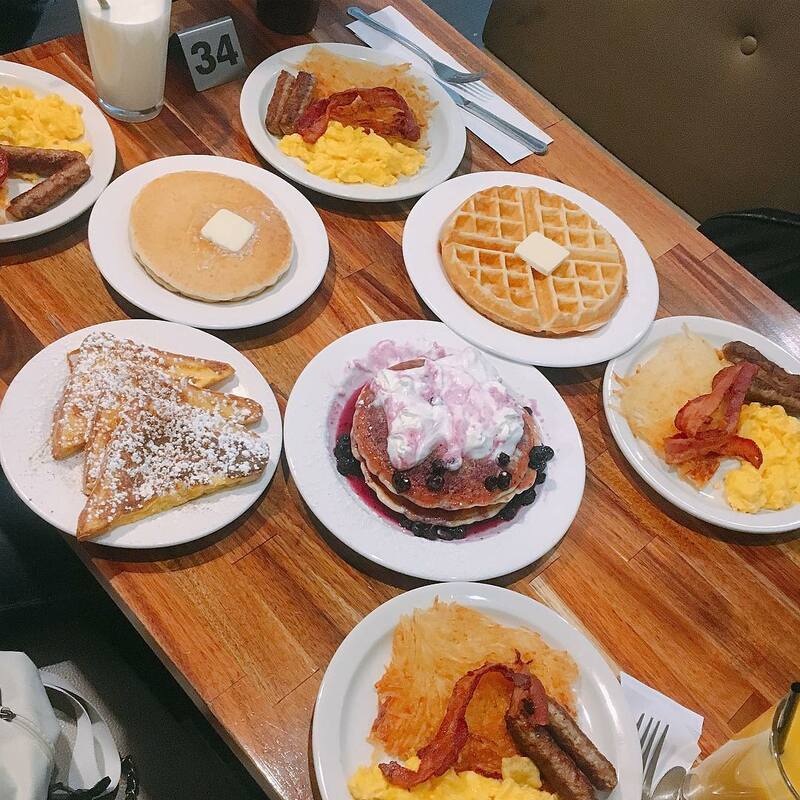 Located in hipster neighbourhood of Hongdae, Cafe Travel Maker’s menu is centred around classic diner comfort food – sugar-dusted french toast, crispy hash browns with scrambled eggs and bacon, buttery cast iron waffles, the works. 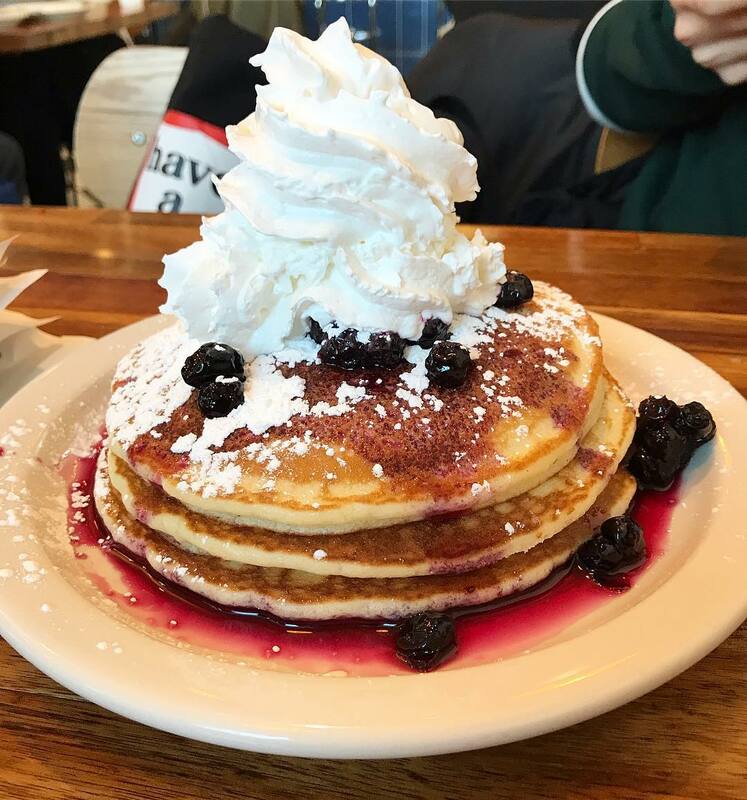 Thick, fluffy and drenched in pools of sticky maple syrup, the diner plate-sized Pancakes are sure to slay any hotcake cravings. Select your choice of fruit compote to pair with these pillowy stacks – you can’t go wrong with classic Strawberry and Banana or Blueberry. With so many different cafes to visit, you won’t be short of options in Seoul. Now that it’s spring, you’ll have access to some of the best cherry blossom viewing spots from Seoul – don’t let this chance go to waste! 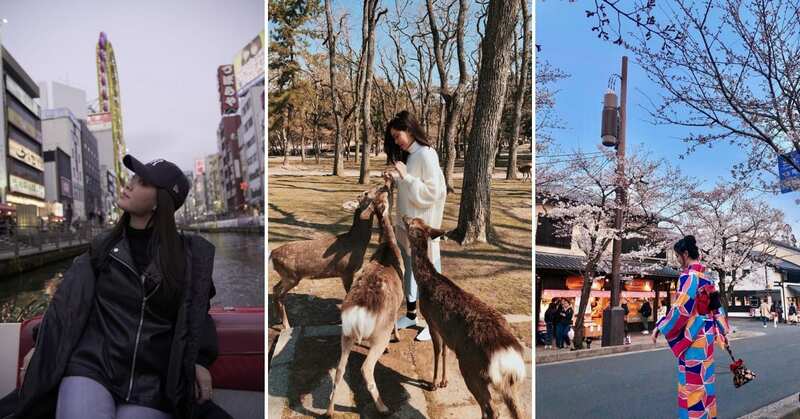 Book yourself a Seoul Cherry Blossom Tour, and check out our Korea Cherry Blossom Forecast for more ideas on where to go. This year, Klook is celebrating spring with our Great Sakura Sale (GSS). 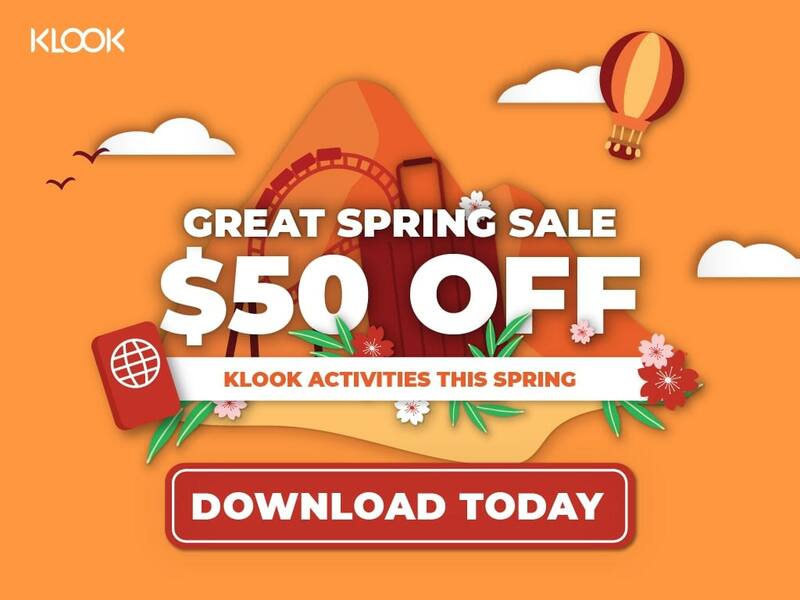 Simply add $400 worth of Klook products to your cart, and checkout with promo code KLOOKGSS35 to enjoy $35 off. If you have a smaller basket size, checkout with promo code KLOOKGSS15 to enjoy $15 off min spend $200. Read on for tips on how to make the most out of the Great Spring Sale! Previous post Michelin Thai Food In Bangkok From $2 & How You Can Skip The Queues!